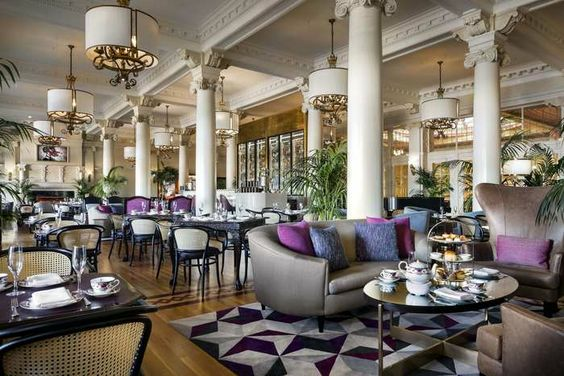 The historic Empress Hotel's new design reinvents Lobby tea service, bar and dining experience. Schemes blend antique furniture from the old Empress Tea Room with new classic contemporary furniture pieces, and a bright modern color palette. The featured central quartzite bars set the scene, serving tea service throughout the day and craft cocktail menus at night. The concepts draw on the history with a fresh new update. Refurbished pieces include; new inset leather table tops, new pendant shades at existing chandeliers, refinished wood flooring, & new upholstered lion head arm chairs.